Sarah Swanson’s ’18 connection with Parent Project Muscular Dystrophy started more than five years ago when a close family friend was diagnosed with Duchenne muscular dystrophy. In only a few short years he will be confined to a wheelchair and is expected to live only into his mid-20s. Duchenne muscular dystrophy affects over one in every 3,500 males. PPMD is the largest non-profit organization in the nation solely dedicated to Duchenne muscular dystrophy. While there is currently no cure for Duchenne, the organization is beginning to fund clinical therapy trials. Funds raised by Suffield Academy will support intravenous injections of microdystrophin delivered to the skeletal and cardiac muscles that aim to stop muscular degeneration. PPMD aims to extend the life of all boys suffering from Duchenne. Akshaya-Pātra is a non-profit organization headquartered in Bengaluru, India, that implemented the Mid-day Meal Scheme in government schools and government-aided schools. Akshaya-Pātra aims not only to fight hunger but also afford critical access to education. Today Akshaya-Pātra is the world’s largest (not-for-profit run) mid-day meal programme serving wholesome food to over 1.6 million children from 13,210 schools across 11 states in India. Close to 40% of the world’s malnourished children live in India, and 40% of India’s children drop out of school prior to reaching the 6th-grade. Children are working to provide food for their families instead of going to school. By providing meals in schools, Akshaya-Pātra removes this burden and entices children to go to school instead of going to work. In return, the education they receive provides an opportunity to pursue a career and breaks the cycle of poverty. 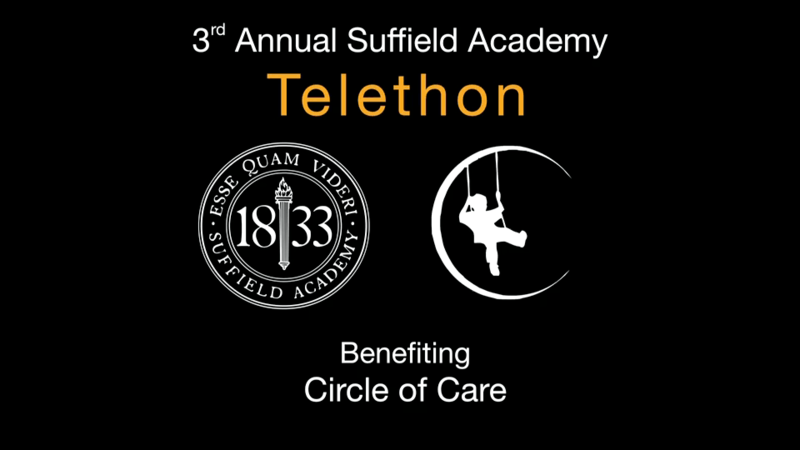 Circle of Care, a local organization in Connecticut that provides ongoing assistance to many families with children battling cancer. Eva Hafner ’18 and Carlos Salguero ’18 both have personal experiences working with the organization. Eva has volunteered with Art from the Heart, a program within the charity that transforms and redecorates the bedrooms of pediatric cancer patients with long hospital stays. Carlos’ mother, Liz Salguero, is one of the three mothers that founded Circle of Care in 2003. After being diagnosed with leukemia at age two, Carlos underwent three successful years of chemotherapy until it finally entered remission. Now for over 10 years, Circle of Care has earned a reputation for being reliable and impactful providers of practical, financial, and emotional support directly to children with cancer and their families. SPOUTS of Water is a non-profit organization that creates ceramic water filters to provide access to clean water in Uganda. Last summer, Baek Kang ’16 worked with SPOUTS in Uganda, making filters and distributing them to two primary schools. When SPOUTS initiated “Support Schools with Filters” to provide filters for thousands of children, Baek volunteered to help. Baek then brought the idea to Suffield Academy. Hearts of the Father Outreach is a non-profit charity providing homes for orphaned, abandoned or abused children. As several Suffield students had volunteered at the refuge home in Ghana this past summer, our goal is to raise $60,000 to buy a well in Old Ningo to be the sole provider of clean drinking water for both the refuge home and the entire town.